Why Should a Funeral Director Have a Website? 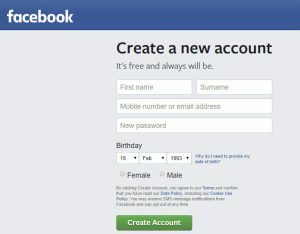 Do you want to make Facebook work for you? 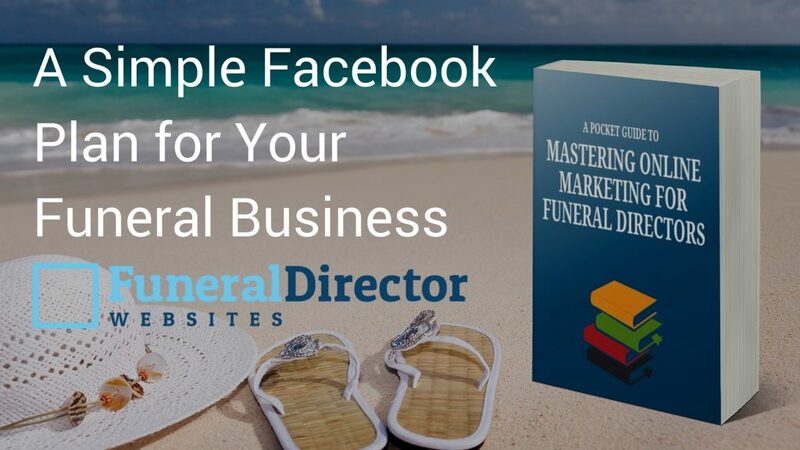 To do so you should start with A Simple Facebook Plan for Your Funeral Business that will justify setting up an account and business page. The plan doesn’t need to be complicated, as with most things in life simple will work best. Facebook has always been a ‘social’ platform and they often remind users about that priority, however the opportunity still exists to set up and capitalise on a business page. Before you can set up a Facebook Business page you will need to have a personal account, if you don’t already have one just go to Facebook sign up page. The above image, kindly reproduced courtesy of RW Barrett & Son Funeral Directors, demonstrates a good example of a funeral director business page with the various components highlighted. Messenger – more and more people are using Messenger as a means of communication or making an enquiry. Be sure respond as quickly as possible to all messages. What will they be interested in? What will they engage with and share? By the simple fact that people may engage with (i.e. comment and discuss) and share your Facebook Posts your business profile has the potential to be raised. Bearing in mind that we’re coming at this with our customers in mind, the primary role of a funeral director is to be available at the time of need to organise a loved one’s funeral compassionately and efficiently. A significant factor within that is to facilitate the involvement, or at least attendance at the funeral, of friends and family. The occasion of a funeral is a significant life event, if you as a funeral director can share that event with those who are interested and facilitate discussion you will gain approval and engagement. In days gone by, when most people read newspapers, sharing funeral arrangements was done via newspaper announcements. The demise of newspaper circulation saw the rise of press online announcements, largely a revenue replacement attempt by press owners, funded by fees and advertising. Enter Web 2.0, loosely understood as the era of ‘self-generated’ content. At Funeral Director Websites we have data that proves the point, the most visited pages on funeral director websites are the funeral announcement pages. Announcements on a funeral directors Facebook page are a natural extension of this trend therefore being the most valuable content that can be shared via Posts. All of which is ‘self-generated’ content that a funeral director can create and publish. 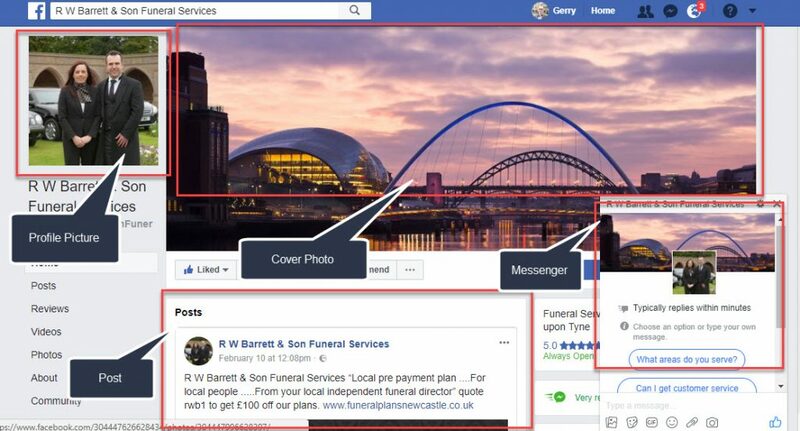 The more emotive and the more visually appealing Facebook content is then the more engagement it will receive and the more friends your page has then the greater the potential for sharing, of course a funeral is naturally an emotive event. From a visual point of view, statistics prove beyond doubt that appealing graphics boost engagement. To demonstrate what such graphics would look like on a Facebook funeral announcement post take a look at our demo Facebook announcements. If you recognise value in Facebook as part of your business marketing plan, then there is no point in simply going through the motions by ‘ticking the Facebook box’. Setting up a Facebook Business Page and doing nothing with it would be futile and a lost opportunity. Would you like help with your Social Media strategy? Or maybe you would like to share with us and other funeral directors your experience of using a Facebook Business Page. If so, please get in touch.